Like many we have been drooling over COCOROSA'S DIY Baroque Tights! But 16 hours of work and bleeding fingers? It's a bit too much for our busy schedules, so we asked her if it was possible to do some more Baroque Magic. After all we at Miista wanted some ooh and ahhhh's too and be effing cool at the same time! And behold: in addition to tackling the Baroque trend miss COCOROSA decided to tackle the 90s headgear trend at the same time, making us very proud! 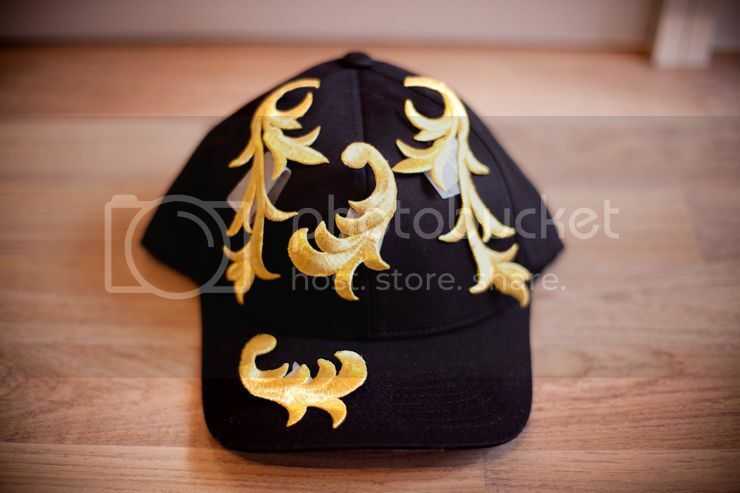 WHAT YOU WILL NEED 1) Black Baseball Cap 2) Baroque (cornelli) Motifs from Barnett Lawson Trimmings in London, both Gold colored, online here and here. 3) Pattex Glue (the Cornelli Motifs have an plastic-ish foil on the back side since they are originally iron-on trims this is why it's better to use an all purpose glue instead of fabric glue) 4) Scotch Tape 5) Scissors and Pins PLACEMENT OF THE MOTIFS USING SCOTCH TAPE Double fold pieces of scotch tape and apply them to the back sides of the Cornelli Motifs and start playing with the placement on the Baseball Cap. 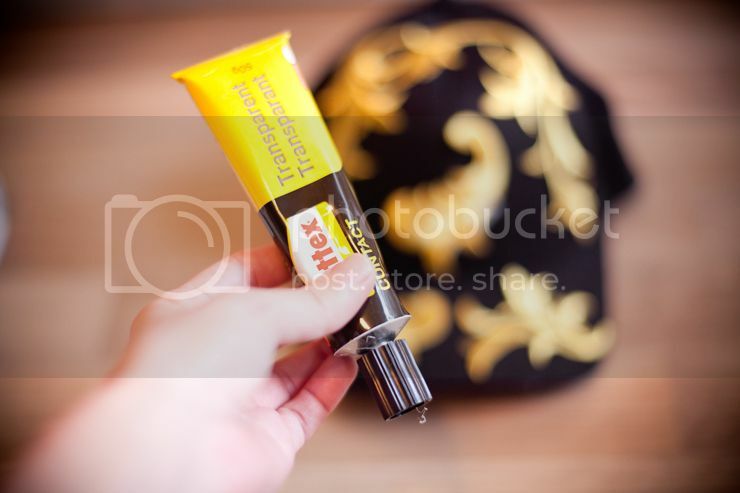 Do wear the Cap in-between and look in the mirror to see if you like what you see -- things might look totally different when wearing the Cap! 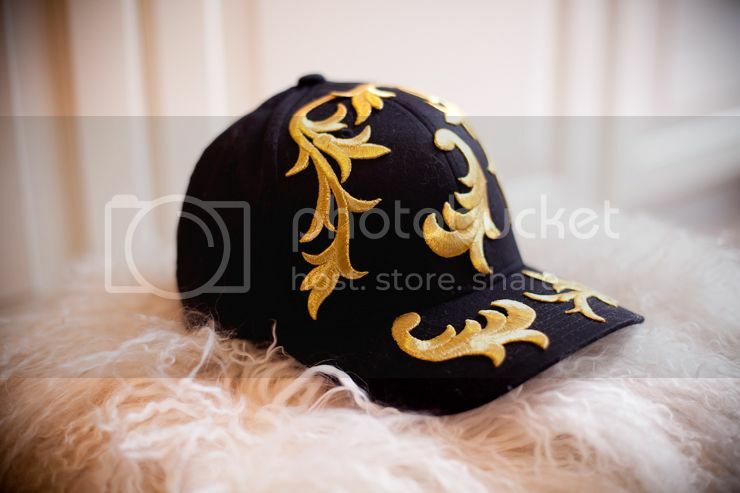 Unlike the DIY Baroque tights we actually liked some non-symmetry when placing the Motifs on the Cap; a bit 90s but we felt the Baseball Cap totally needed that. 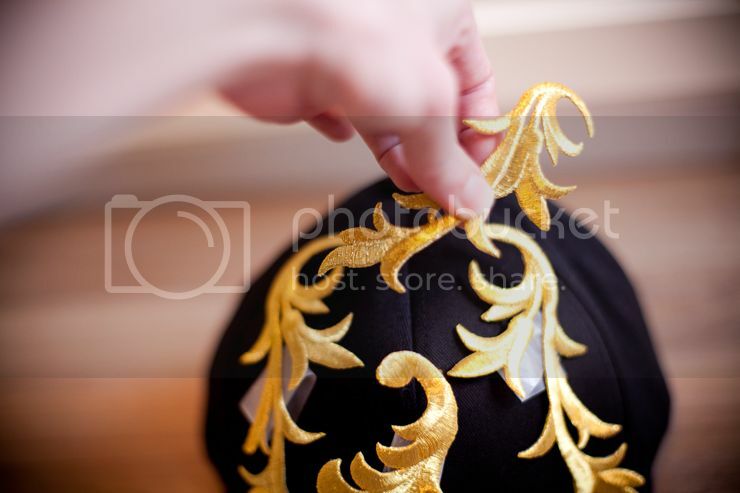 FINE TUNING THE PLACEMENT BY CUSTOMIZING THE MOTIFS I fine-tuned the placement with some good old fashioned cut-and-pasting, customizing the Motifs itself. 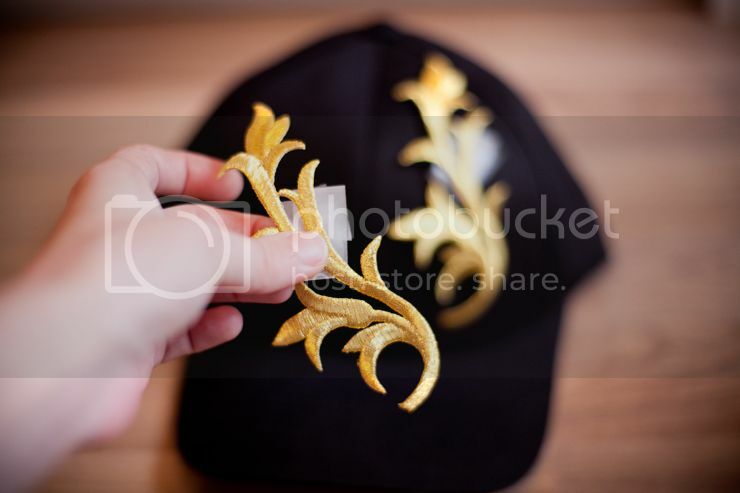 Simply look at where the Baseball cap might need an extra bit of motif or an extra detail and simply cut one of the Cornelli Motifs accordingly. I placed the other piece of (left over) Motif somewhere else! 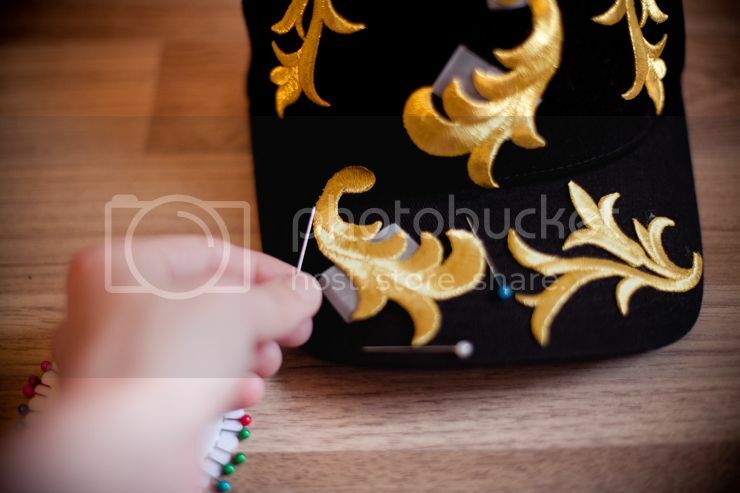 GLUEING THE MOTIFS BY USING "GUIDELINES" AND "MARKINGS" When the placement is set and ready by using scotch tape it's time to start attaching the Cornelli Motifs to the Baseball Cap! I found the use of "guidelines" and "markings" very helpful since you might not find that perfect placement again. 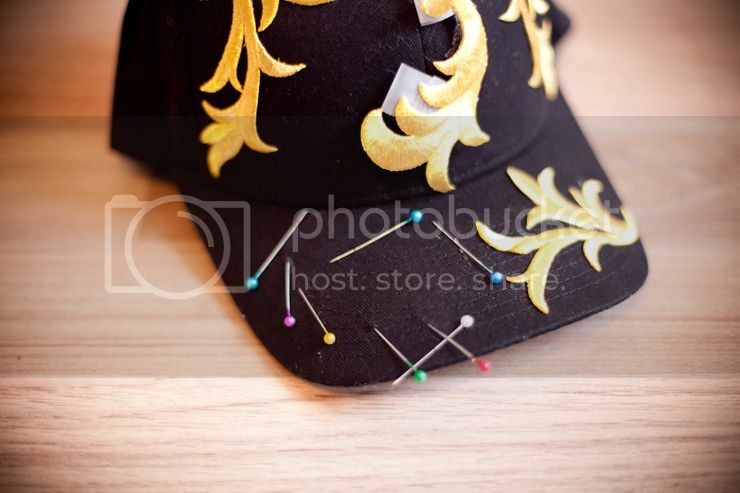 I used pins to simply mark corners and edges of where I wanted to attach the Motif on the Cap. 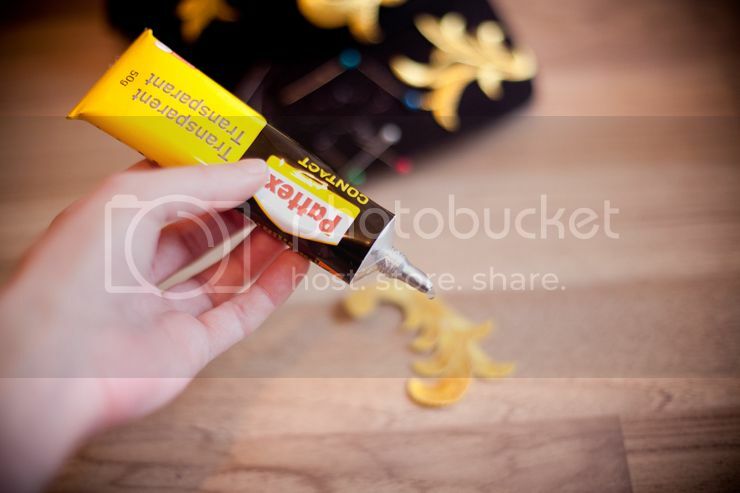 It's a very rough way of marking the placement but it gave me just that little bit of direction that I needed. Start with 1 motif at the time! 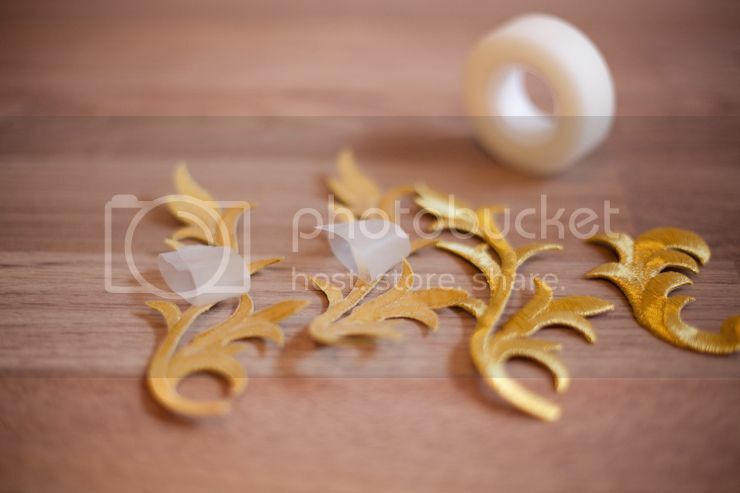 Note that it will be very hard to glue the motif on that exact same spot as where you planned to place it. It's totally okay if its not on the exact same spot! 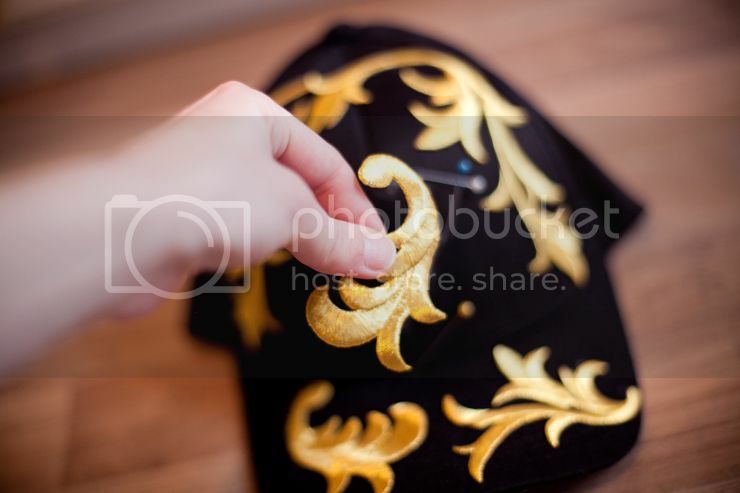 Just be careful not to move the motif around to much after gluing since the glue residue will leave stains on the Baseball cap! 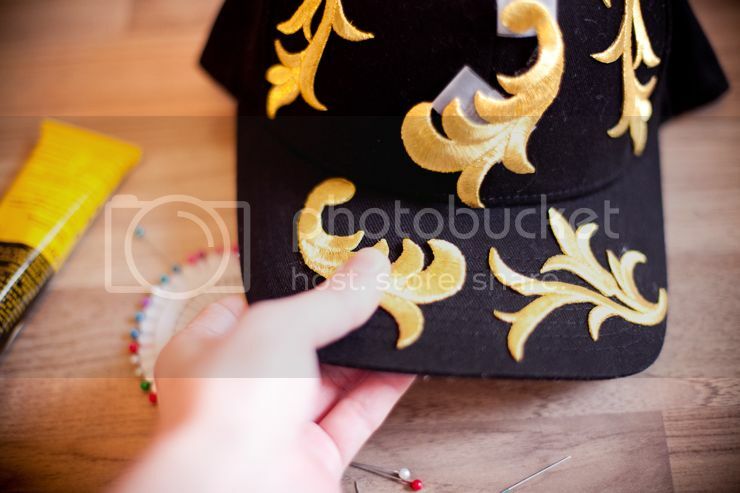 GLUE THE BACKSIDE OF THE MOTIF Remove the Scotch Tape and glue the backside of the Cornelli Motif, make sure there is not too much of glue that will smudge out on the Baseball Cap and pay extra attention to the corners and edges! PRESS AND HOLD FIRMLY Depending on the glue you use you will need to press and hold the Motifs firmly from seconds to minutes! REPEAT and READY! 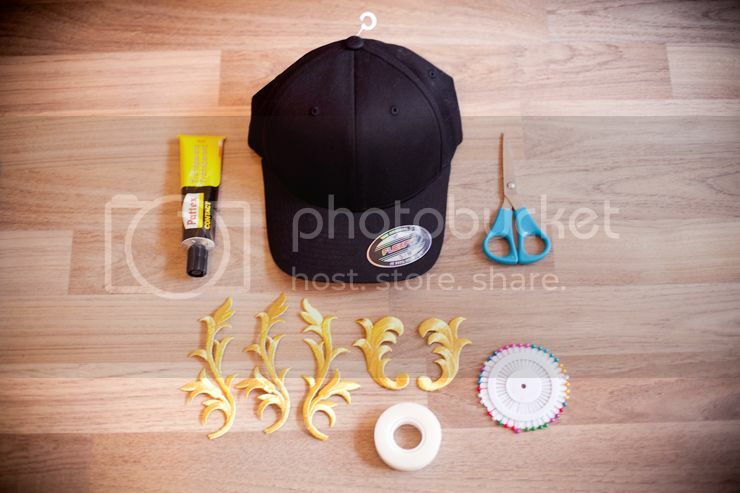 Repeat these steps on the other Motifs and you will be ready!